This is number 6 in the Relatively Dead Series with Abby still not quite sure what it is she wants to do with her life. 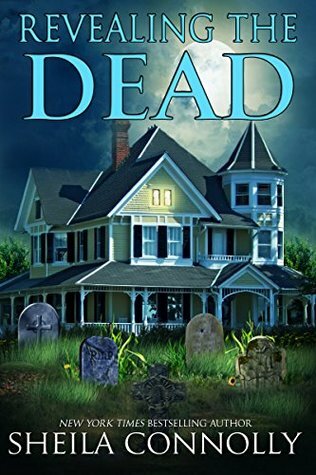 Restoring the Victorian home she shares with her boyfriend, Ned, has taken her mind off her gift of seeing dead people and she’s spending time with Ellie helping her with her own gift. When Ellie meets a boy in her class with autism, she feels an instant connection to him. She knows he is in there somewhere and just can’t communicate. Abby sets out to learn all she can about autism and psychic abilities and if the two are connected. Can she use these gifts to communicate with Danny and more importantly have him communicate? There was a lot of good information on the two. I learned quite a bit I did not know. This is a mystery in the sense that there are dead people around only. There was a lot of repetitive dialogue especially surrounding the Ned, Ellie connection that I felt could have been left out. On the whole this wasn’t my favorite of the series, but it was good. BABY TEETH by ZOJE STAGE RELEASE DAY!!! Wow❤️I’ll be sure to read this one! Sounds like an gentle read. I may have to take a peek.